Minéral 89 is rated 4.7 out of 5 by 739. Mineral 89 is a lightweight, fast-absorbing 100% transparent face moisturizer. Non-greasy. Non-sticky. Non-shiny. Our skin’s primary role is protection. It is exposed daily to aggressors like pollution, UV rays, fatigue, stress, poor diet and tobacco. The skin’s protection system can become weak and show signs like dull complexion, tired look, lack of freshness. In the long term 80% of aging signs are linked to environmental influences. Mineral 89 Hyaluronic Acid Moisturizer combines the highest concentration of Vichy Mineralizing thermal water with Hyaluronic acid to enhance long term hydration, essential for healthy skin. Formulated with the most restricted list of ingredients to make the formula extremely safe and very well tolerated. Lightweight, fast-absorbing translucent booster. Absorbs quickly leaving the skin feeling comfortable, softer and hydrated. Can apply makeup immediately after application. Non-greasy, non-sticky and non-shiny. Apply hyaluronic face moisturizer morning and evening to cleansed skin by spreading a touch of booster all over the face. Spread with outward movements from the middle of the face, without applying too much pressure. All skin types benefit from Mineral 89 Hyaluronic Acid Moisturizer. It can be easily included in any beauty regimen after cleansing and before your usual serum and/or moisturizer. Why Minéral 89 Hyaluronic Acid Face Moisturizer? Why Do You Need Mineral 89 Face Moisturizer? Minéral 89 is Vichy's new generation of face moisturizer. It combines Mineralizing Water with Hyaluronic Acid and helps to visibly plump and hydrate skin. Rated 5 out of 5 by SBoo from Great serum I have been using this for a year now and it works very well on my oily/combination skin. It has no fragrance, which I love, and absorbs well and easily and does not cause products applied over it to clump or not sit well. Would highly recommend, as it has also been controlling my excess oil production in T-zone. Rated 5 out of 5 by Lee B from Great Product I bought this product about 6 months ago and use it daily. It has kept my dry sensitive skin moisturized throughout the cold winter months. Rated 5 out of 5 by loreta from works wonders! I have mix/oily and very sensitive skin, finding the right skin products has been a long struggle as most brand names make me break out or gives me a rash..... I bought a bottle last month, and i can see a real difference in my skin. It absorbs instantaneously, with no oily or heavy feeling, skin feels refreshed and plump, radiant! Will definitely buy more, and explore other products of vichy brand, so happy! Rated 5 out of 5 by Annie from Love Love Love So happy that I made the purchase!! Love this product!! Very happy with it!!! Rated 5 out of 5 by FrancophileGirlSF from Like drinking a glass of water for the skin! I’ve been using this for years and can say it’s one of the best values on the market for hyaluronic skincare. I put it on in the morning just after Vichy’s Vitamin C Serum. It’s like a glass of water for the skin. I immediately notice how hydrated and plump my skin looks afterwards. Rated 5 out of 5 by Sherol from Great product I’ve been using Vichy products for years and absolutely love this product! I use it every day and it leaves my skin feeling moisturized and smooth. 1. What Makes Minéral 89 So Unique? The Minéral 89 formula and texture. 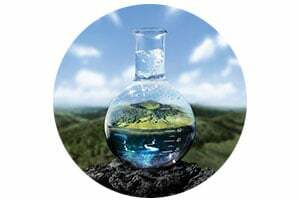 Minéral 89’s formula is breakthrough for Vichy Laboratories –it contains only 11 ingredients and the highest concentration of Vichy Mineralizing Water ever achieved. For the first time, our Labs took Vichy Mineralizing Water and formulated around it as opposed to with it. This means that our Labs put Mineralizing Water first and added compatible active ingredients to the formula. After more than 130 trials and 100 ingredients screened, our Labs reached 89% concentration of Vichy Mineralizing Water in this formula. Minéral 89 also has a gel texture that provides a feeling of freshness and immediate hydration. It instantly leaves the skin feeling fresh and not sticky. 2. What is a Skin Booster? A new generation moisturizer. Minéral 89 Hyaluronic Acid Moisturizer is a 100% Transparent Gel Moisturizer that has the lightweight feel of a serum and moisturizes like a daily lotion. It delivers intense hydration that can be used as a standalone moisturizer or as a boost to your regular moisturizing or anti-anti-aging routine. It absorbs quickly into the skin leaving it feeling comfortable, softer, and hydrated. 3. What is Hyaluronic Acid? 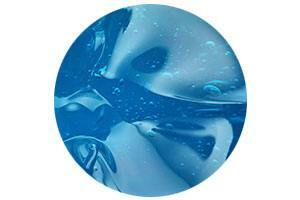 Hyaluronic Acid is a hydrating ingredient that is known for its ability to hold up to 1000 times its weight in water. It is the perfect addition to any skin care routine for early signs of aging or dry skin. 4. How Should I Use Minéral 89? This product can be used on its own, or as the first step in any routine. It is very versatile and great for all skin types, even men! 5. What Does the 89 Mean? 89 represents the percentage of Vichy water that is found in this product. 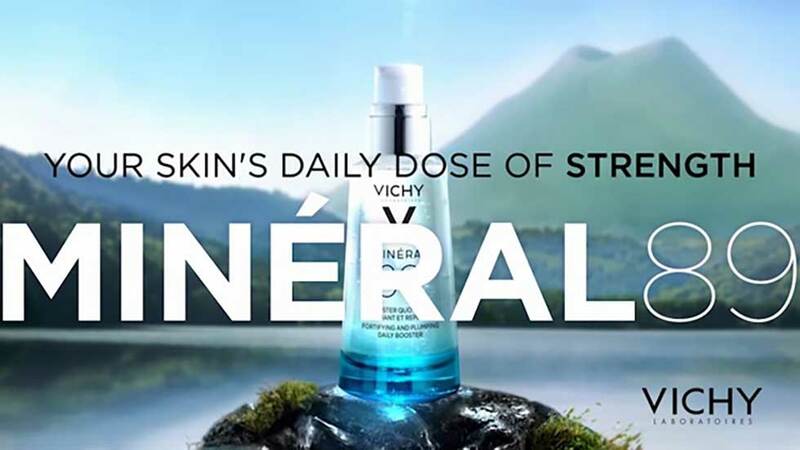 At 89%, it is the highest percentage of Vichy water in any product throughout the entire brand.